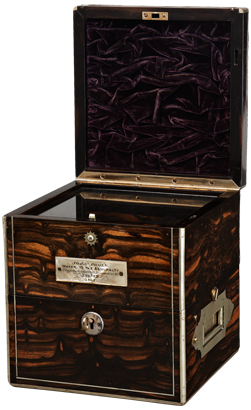 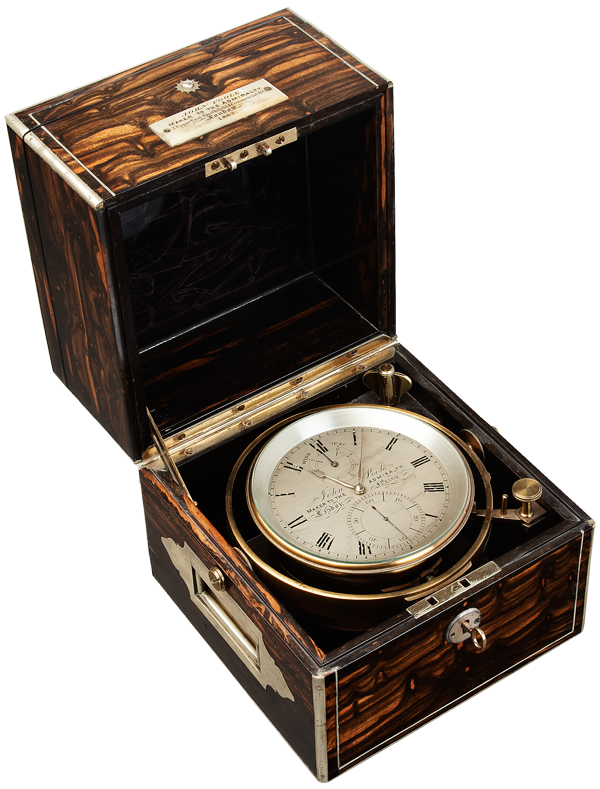 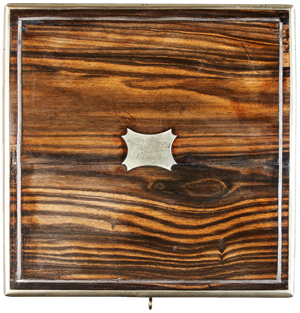 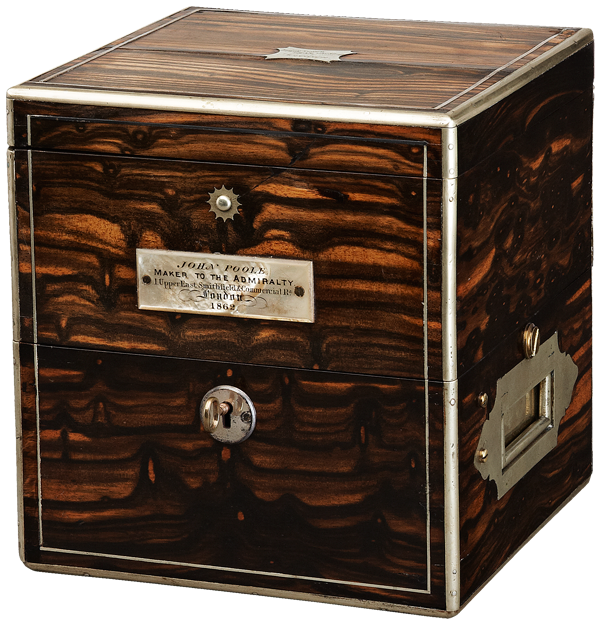 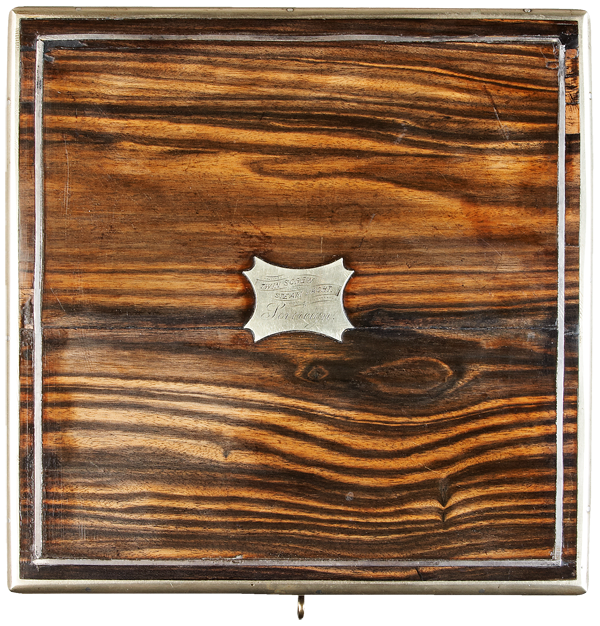 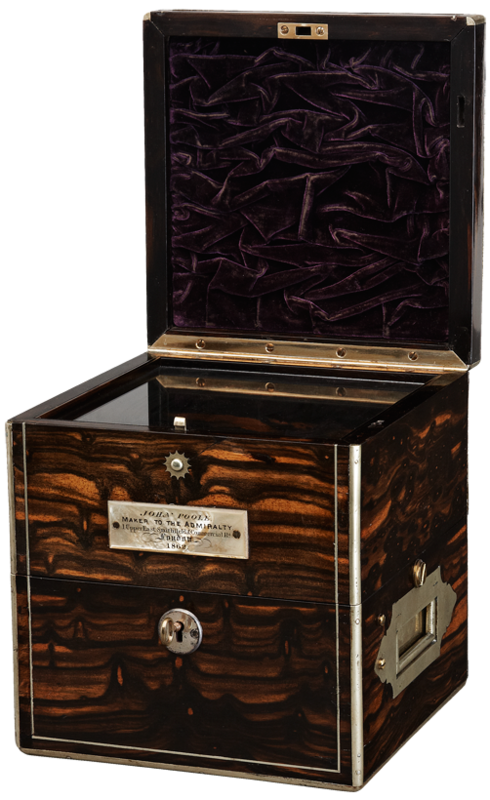 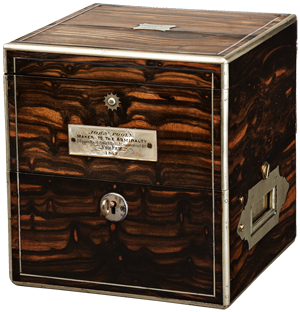 A fine 19th Century 8 day marine chronometer in a Coromandle wood case by John Poole, maker to the Admiralty, London. 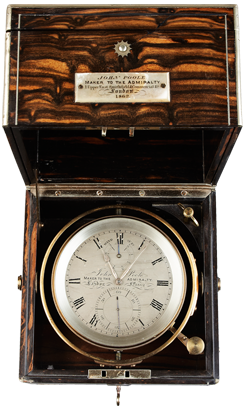 The Silvered dial with up/down and seconds dials, gold hands, signed and numbered 1862. 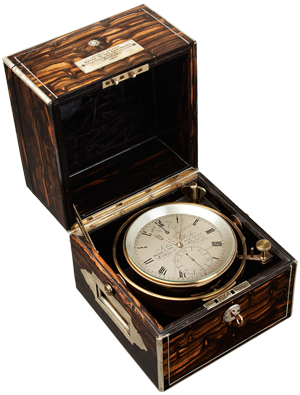 The movement also signed and with his auxiliary compensation to the Chronometer escapement. 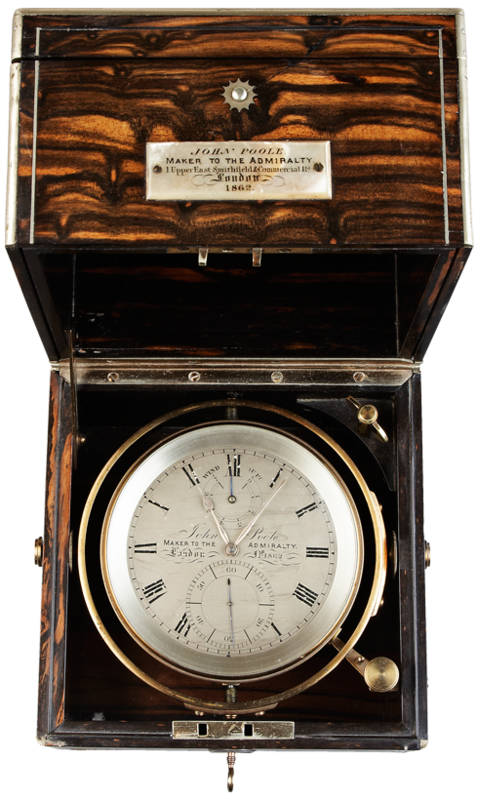 The exhibition case with a blue cushioned lid, signed plaque and a brass cartouche to the top signed, Twin Screw Steam Yacht, Sovereign.